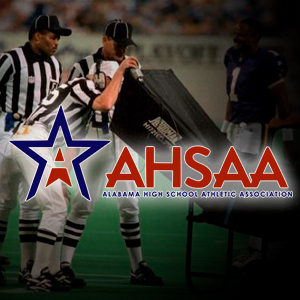 MOBILE, AL – The Alabama High School Athletic Association announced, Thursday, that instant replay will be available for officials in high school football games starting this fall. The National Federation of High School Football prohibits the use of instant replay, but the state of Alabama has been issued a waiver for up to three years as an experiment for upcoming years. Each school will have the opportunity to choose whether they want to purchase the equipment for instant replay, but if a school has access to the equipment, it will be used. According to AL.com, all plays, except those with penalties will be up for review. This includes determining if a player was out of bounds, timing issues, and crossing the goal line as reviewable plays. Coaches will have the opportunity to challenge a play, and if correct, the call will be reversed and played as necessary. If the call is incorrect, the challenging team will be charged a time out and play will continue. Each coach is allowed two challenges per game. If a coach wins a challenge, the team will keep its remaining challenges. The AHSAA is partnered with DVsport, which is the same company that provides replay systems for the SEC. Officials will be able to view plays from multiple angles and determine plays accordingly. Games are expected to be lengthened by 10 to 20 minutes because of the change. For more information, tune in to Sports Drive on WNSP weekday afternoons from 3 p.m. to 6 p.m. and view AL.com’s article here.